I am Henna. I am 26 and I have one daughter. My husband and I want to have a second child. We live with my husband’s family and I have a job working with a foreign organization. I think everyone wants to have the best things for their children so that their children will have a good life. I delivered my daughter in hospital and if I am going to have another child I would like to deliver it in hospital. When I was pregnant I had more appointments with doctors than other people. The doctor gave me a schedule of appointments and had very useful advice for me. Nine months is not a short time and the experience was the most difficult one in my life, but my husband, his family, and the doctors took care of me. Everyone was helpful. They gave me a lot of effective advice for every step and since I wanted my child to be healthy, I did my best for her. In this country, families place more value on boys than girls, but in my family they do not put value on such things. They don’t care if it is a boy or a girl. What they care about is that the child is healthy. My first child was a girl and my family was so happy, including my mother-in-law who helped me so much during this time. Fortunately my husband and I agree that having a smaller family leads to a better life. I would like to have one more child and have a happy life with my family. By Henna as told to Zohra N.
You are so fortunate to have such a supportive family and husband! the opportunity for a good education, the chance to become productive and contributing members to their country. An uplifting story and I thank you . It is great to read a story about a woman with a job and an enlightened family. Thank you for letting us know that there are families like yours in Afghanistan. Good luck with your daughter. 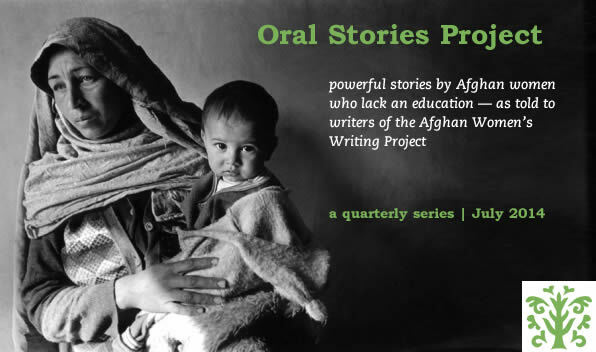 When I read your story, I believe that there is hope for the future of Afghanistan. Thank you!